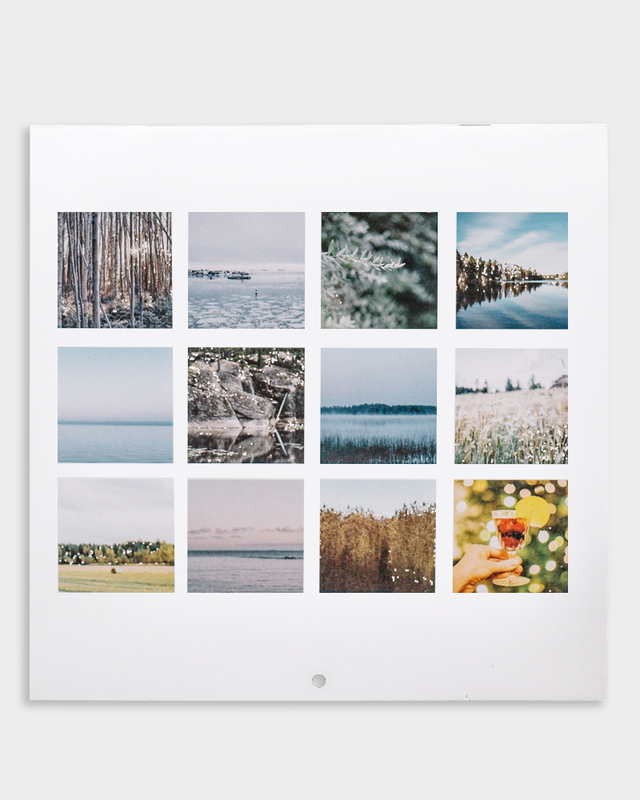 The wall calendar by Studio Metsä features atmospheric photos on the top part and has the dates for the month below. The photos represent peace and warmth, countryside life and details. 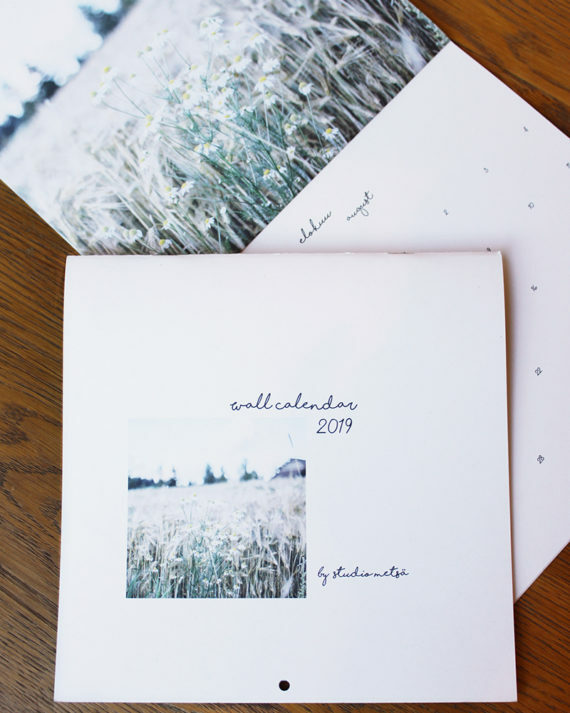 The calendar is printed on 100% recycled paper with plant-based inks. The size is 21 x 21 cm, when opened on the wall 21 x 42 cm. 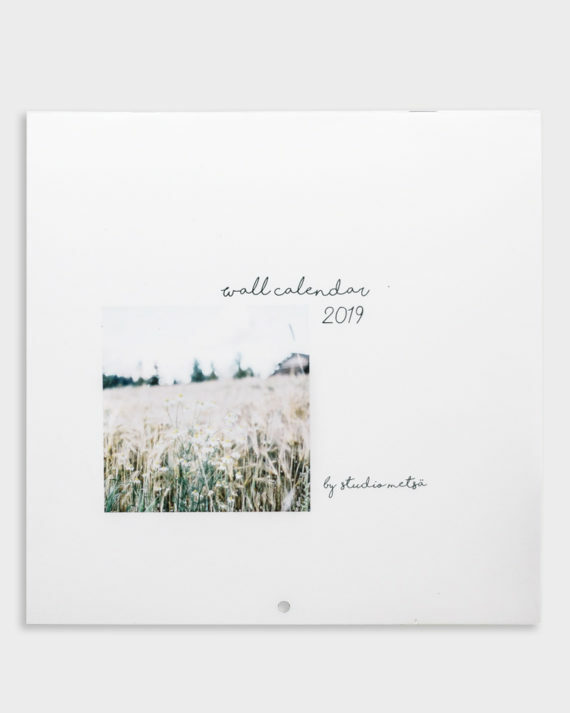 The calendar is designed and photographed by Erika Lind / Studio Forest.